Description: Creating a flowchart with an existing template will be fast and efficient. 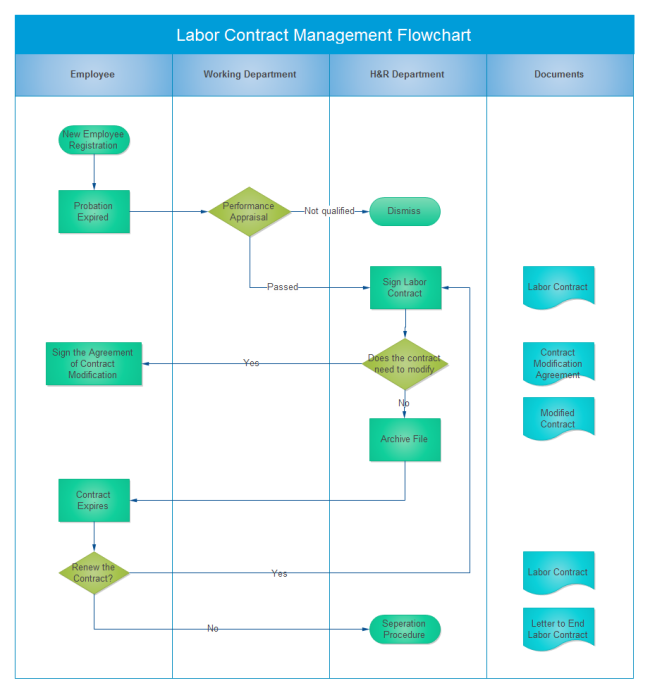 Here we offer a contract management flowchart template for free download. Edraw offers you lots of intelligent functions in creating flowcharts. Have a try.